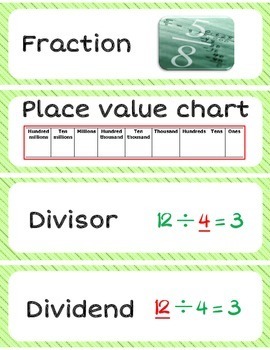 This file includes 34 Math wall words for the unit Number Sense and Numeration and 2 blank cards. There are 4 words per page, as shown in the main thumbnail. 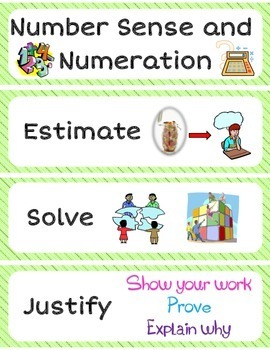 For the entire Math Word Wall bundle (152 words), click here! Great visual aid for students of all ages. The pictures beside each word help students remember what the meaning of that word is. 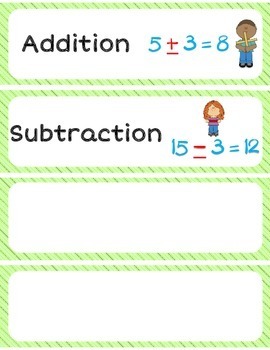 Math walls for other units are available if you visit my store. They are all colour coded to match each unit. 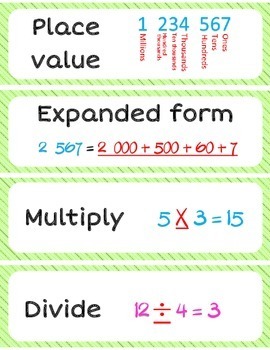 For the entire Math Word Wall bundle, click here! You can earn TPT Credits by leaving feedback on any of the products you purchase. You get 1 TPT Credit for every dollar you spend. 100 credits will earn you 5$ towards your next purchase.